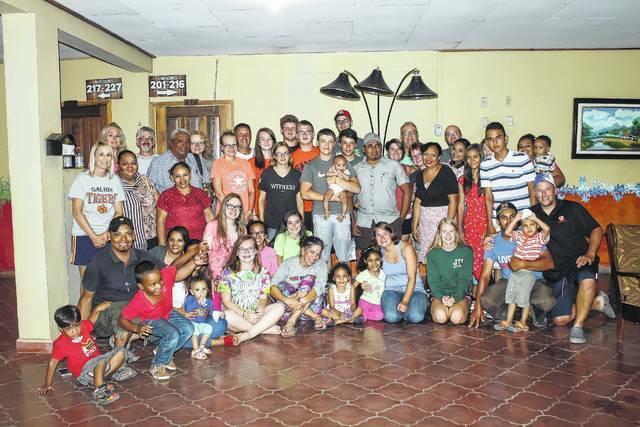 GALION — The Olanchito region of Honduras is not a popular tourist destination these days, but the missions team from Grace Point Church turned it into a home away from home for 10 days in July. 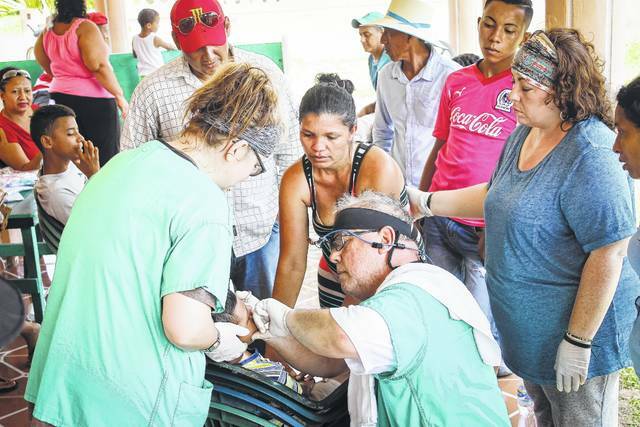 A group of 12 high school students and 14 adults made the trip to Olanchito from July 11-20, and not only made a difference in the lives of the local residents, but in their own lives as well. The experience was more enriching than any of the group could have anticipated. Planning and preparations for this trip started in January. The prep work included two meetings per month to keep everyone organized and on the same page. For most, this was a first time trip out of the United States. The process to apply for passports is not simple, and had to be completed early to ensure no complications. There also were travel costs to cover adding up to around $1,500 per person, which required some local fundraising as well as donations through the church. The journey to Olanchito was not a simple one. The missions team faced major delays due to mechanical errors and had to stay an unplanned night at a Houston hotel. With prayers and patience, the group got back on their way the next day. The total “commute” included two plane flights totalling five hours in the air, which was followed by an additional six-hour bus ride to reach their first destination. Jeanie Rinehart is the Youth Pastor at Grace Point Church and she and her husband Neal made the trip and led in a lot of the planning. For her, the biggest first impression upon their arrival to Olanchito was culture shock. “We run such an elaborate rat race daily in the United States. Honduras is a step backward from what we know here,” she said. She said most homes in the area have very little to no electric, with usually just one light per home. The first stop as a team was the very rural area of San Rafael, which is best described as a one road village of approximately 25 homes. They worked to build a chicken coop for the local church, which will be used to sustain food and provide an added income for the congregation. Their second work area was Coyoles, where the team built roof trusses for the church, that until then had only had walls. Theyalso did work back-filling dirt one shovel at a time to prepare for concrete. A special member of the team was Galion dentist Tom Fellner, who provided a dental clinic free of charge in both towns for any local residents in need. Fellner was able to take Novocaine and some antibiotics on the trip. According to Rinehart, there was a line of residents in every location to see Fellner, and most of the work done was extractions. The labor done by the missions team was not the only mark left behind. As a group, the team left Galion with a total of 40 plastic totes filled with clothing, supplies, and tools for the trip. They only returned with eight. They decided in advance to donate much of what they travelled with to the homes and churches in San Raphael and Coyoles. In San Raphael, a tote was taken to each of the 25 homes. It was filled with clothing, personal hygiene, first aid, and household items. The Coyoles residents were given a backpack full of school supplies, and homes in each village were led in prayer by members of the missions team. While the culture shock may have taken most of the team out of their comfort zone, the lasting affects of the trip were well worth it for all involved. The trip was life-changing for some. “Honduras gave all of us a different life perspective,” she said. “When you see people who have no choice but to be dependent on the Lord every single day, it only builds a better relationship with the Lord in the long run. 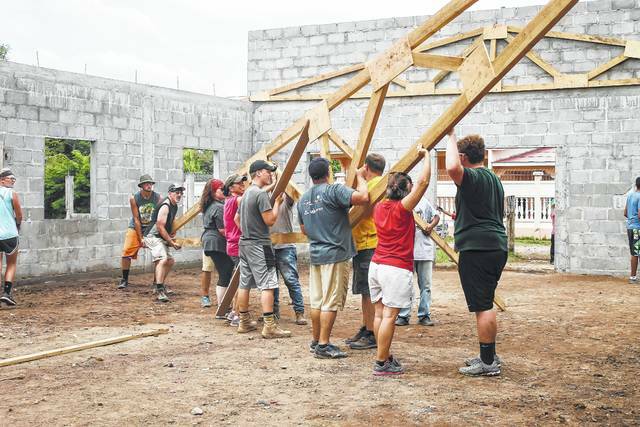 The missions team from Grace Point Church in Galion helps to build roof trusses for a church in Colyoles, Honduras. Galion Dentist Tom Fellner offering free dental care to residents of Honduras during Grace Point mission trip. The Grace Point Mission team to Honduras is pictured with the local residents who worked side by side with them on their trip in July.